You are here: Home > About Us > Responsible Travel > What is the Greenlife Fund? Responsible Travel What is the Greenlife Fund? It was back in 2013 when we first met best friends Justin and Patrick who had an extraordinary plan: travel the Camino together, despite Justin’s debilitating neuromuscular condition. 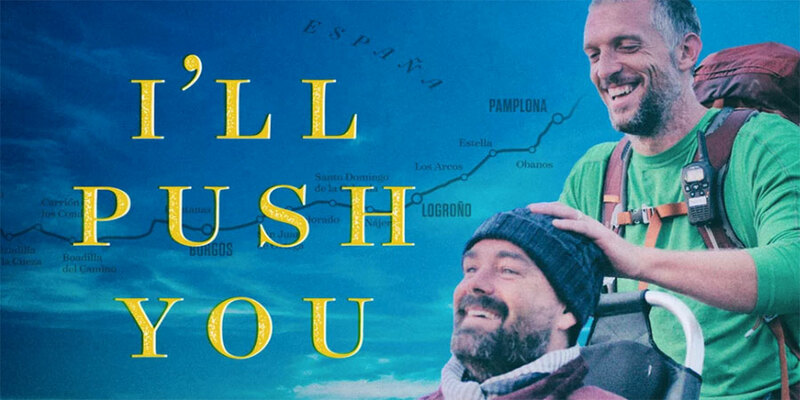 ‘I’ll Push You’ was Patrick’s response to his friend’s plan and the CaminoWays.com team was honoured to be able to help the two friends on their way to Santiago. Inspired by Justin and Patrick’s incredible adventure, the Greenlife Fund was created to support extraordinary and responsible travel projects related to the Camino and other destinations. The Greenlife Fund is designed to encourage anyone with an interest in ecotourism and social responsibility to work together with the Greenlife team to create positive awareness related to specific issues affecting a culture, region or community. From all the applications we will select one project. A fund of up to €1,500 in value to support the project’s planned activities. Assistance and consultation on destinations and logistics. The chosen project is selected by the Greenlife Tours Ltd team. Ecotourism is defined as “responsible travel to natural areas that conserves the environment and improves the well-being of local people.” (TIES, 1990) – The international eco-tourism society. Individuals and groups have roles to play in creating responsible travel awareness. Your inspirational project should fit in one of the categories outlined below. 1- Promote respect for the environment. 2- Are inspiring to others. 3- Educate others about protecting the environment. 4- Promote sustainable and responsible tourism. 5- Tackle a particular social or human challenge affecting a community or region. Prepare an outline of your project and proposed activity including timeline / schedule. Read our criteria to check if your project meets the Greenlife Fund requirements. Have a step-by-step account of what the funding will be used for and how the Greenlife Fund can act as a partner. Follow our Facebook page for notifications of application opening dates and submission deadlines. Submit your application within the proposed timeline. If you accept the Greenlife Fund you must work with the Greenlife team to achieve all of the activities outlined in your project proposal. The project must be completed during the same year of receiving the fund. Have a look at projects we have supported in previous years: I’ll Push You, The Great Camino Clean-Up, Trail Warden Education on the Burren Way and Mossy Earth Reforestation. For more information about the Greenlife Fund, contact our team at marketing@francigenaways.com.